ISLAMABAD: Prime Minister Imran Khan on Monday ordered to set up south Punjab secretariat and make it functional by mid 2019. He said this while chairing a meeting regarding the establishment of South Punjab province. The prime minister was given a detailed briefing about the administrative affairs of the formation of new province. Federal Minister for Planning Makhdoom Khusro Bakhtiar briefed the meeting about the social and economic situation of south Punjab province. The meeting was attended by Punjab Chief Minister Sardar Usman Buzdar, Minister for Planning Khusro Bakhtiar, Punjab Finance Minister Makhdoom Hashim Jawan Bakht and chief secretary. Federal Minister for Information and Broadcasting, Chaudhry Fawad Hussain on Monday said the Pakistan Tehreek e Insaf (PTI) government would fulfill its promise regarding establishment of south Punjab province. It would take some time to set up the province of South Punjab, he stated while talking to a private news channel. National Assembly Speaker Asad Qaiser, Leader of the House in Senate Syed Shibli Faraz and ministers Monday called on Prime Minister Imran Khan and discussed issues related to the parliament. 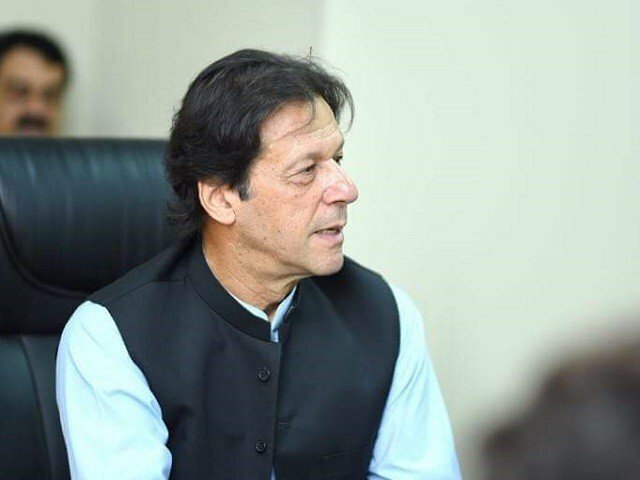 Subjects related to chairman of Public Accounts Committee (PAC), setting up an ethics committee, nomination of parliamentary secretaries, and re-organisation of the Pakistan Tehreek-e-Insaf (PTI) in Khyber Pakhtunkhwa province were discussed during the meeting, PM Office media wing said in a press release. Minister for Defence Pervez Khattak and Minister of State for Parliamentary Affairs Ali Muhammad Khan were also present. The government has decided to make a fresh contact with opposition parties to break the deadlock over the issue of nomination of chairmanship of the PAC, Online reported. The sources told Online said that the federal government gave A signal to THE opposition that any lawmaker from the PML-N might be picked as the chairman of PAC except detained opposition leader Shehbaz Sharif and Khawaja Asif. Moreover, the government would also carry out negotiation with the opposition on elections of standing committees chairpersons, they added. According to the details, the government has given a task to NA Speaker Asad Qaiser to make contact with the opposition parties and help resolve the standoff over PAC chairmanship. Constitution of other parliamentary committees will also be discussed with the opposition parties. It is pertinent to mention here that a PTI delegation had met with the leadership of Pakistan People’s Party (PPP) and Pakistan Muslim League-Nawaz (PML-N) last month to make consensus on the appointment of PAC chairman but the efforts had failed to bear fruit.